Chicago residents on Jan. 30 reported hearing loud boom-like noises, but there were no earthquakes reported. WGN-TV reported that the booms might “have been cryoseisms, or frost quakes” amid subzero temperatures. A number of viewers of WGN, based in Chicago, said they could hear them. The government website says that the vibrations of a cryoseism don’t travel very far. They don’t “release much energy compared with a true earthquake caused by dislocation of rock within the earth,” the agency says. Did you hear loud booms or banging sounds overnight in Chicagoland? Those sounds might have been cryoseisms — or frost quakes. Temperatures in Chicago got to minus 20 at night, according to forecasters. 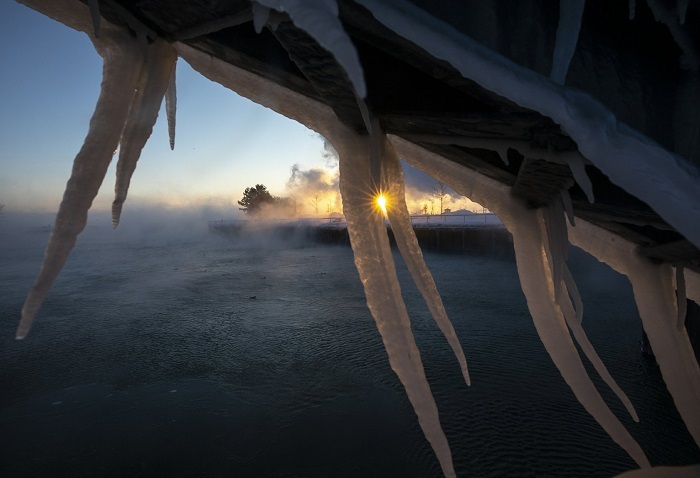 One of the coldest arctic air mass intrusions in recent memory is surging south into the Upper Midwest before spreading across much of the eastern two-thirds of the country,” said the National Weather Service. Wind chill warnings were in effect for much of the Midwest. 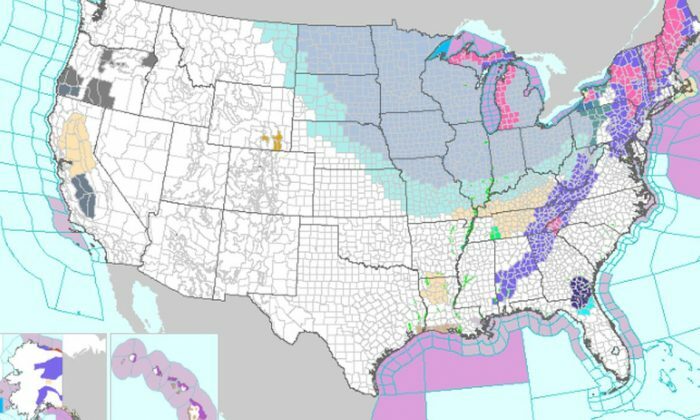 “Through late week, expect frigid temperatures, bitterly cold and life-threatening wind chills, likely leading to widespread record lows and low maximum temperatures from the Upper Midwest to the Great Lakes and Ohio Valley,” the NWS stated on its website. “The heart of this cold… is hitting us now. A lot of records are going to fall,” said Brian Hurley, a meteorologist with the NWS’s Weather Prediction Center in Maryland, Reuters reported. With officials in Illinois and the Northern states advising residents to stay indoors, dashcam footage from one trucker taken outside Grand Rapids, Michigan gave a snapshot of hair-raising driving conditions. “I about just got caught in a giant wreck; cars are into other pickups, there’s people hurt. I gotta let you go.” Jason Coffelt is heard saying in an Instagram posting dated Tuesday, as his truck is forced off the highway and pulls up just before a multi-vehicle accident. 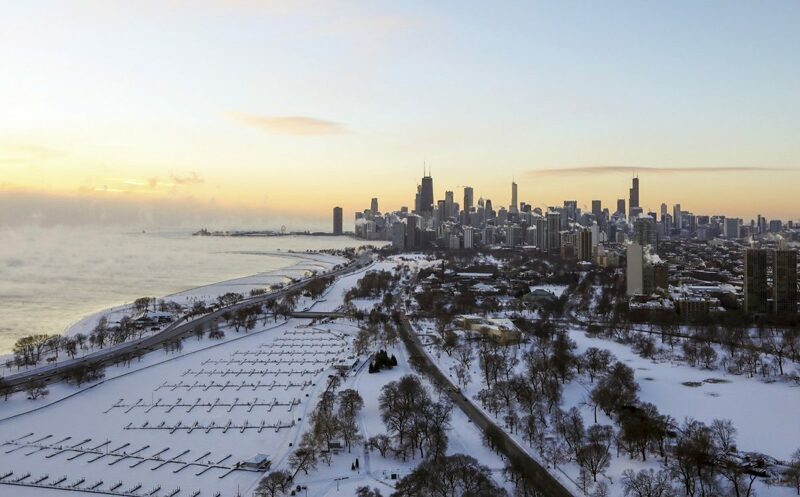 In neighboring Illinois, Chicago was bracing for one of its coldest days on record.